Do you think that you are a born worrier. Take a moment to think how much time each day you spend worrying and ask yourself? How often do you worries actually come true and if they do, are they ever really as bad as you were thinking or imagining? Worrying rarely resolves anything. A mind is totally ineffective, when it keeps going around and around in vicious circles, causing endless stress and anxiety in the body, but no obvious solutions to your problems or concerns. Because worrying causes emotional stress and disharmony in your body and it upsets your appetite and takes away your quality of sleep, it is not good for your health and well-being. According to research, worrying constantly can actually cut short your life expectancy by quite a few years. Therefore, learning how to still your restless mind and calm your stressed body can have many positive benefits in itself. Because a calm and peaceful, worry free mind can set the way for better health, better well-being and a better quality of life. Which can help you to think more clearly, reduce your stress and lower your anxiety. Allowing you to sleep in peace and when you feel calm and at peace, you will be able to handle and cope with life's challenges, so much easier. When people have a problem, concern or issue. It cause them to worry and when they try to stop worrying because it is making them feel bad, they find they can't stop worrying. The more they try to stop worrying or the more they try to suppress their worry thoughts, the more they worry. Maybe someone has told you to forget about what is bothering you or they have told you, not to worry. But, again when you try, you find you can't do it. Because most people are aware that too much worrying is bad for them. They even worry about worrying. The thing to understand about worrying, which might sound a bit strange is. So how to you quieten your worried and restless mind and wouldn't it be nice if your mind was still and your body was relaxed and at balanced? People will try all sorts of distraction and coping techniques to try and stop worrying. Like keeping themselves busy, drinking, reading, participating in their hobbies or going out. Many people dread their own company, because they can't quit their negative mental chitchatter. But as soon as your alone or quiet for a moment, the worry starts off tormenting you again. Sometimes, even when you're doing something or you're in company, your mind will carry on worrying. If you're a chronic worrier than for your own health, well-being and sanity. Then you will benefit tremendously in some many positive ways if you taught yourslf how to calm your worrying mind. The golden rule of how to stop worrying. Is don't try to stop worrying or don't try to suppress your negative thoughts. Because if you try to stop thought it will be like trying to paddle upstream against a very strong and turbulent current, where you will get nowhere and you will end up beaten, tired, frustrated and exhausted. All that will do is cause more emotional arousal and stress and even more worry. People think it is hard to stop worrying, but actually once you learn how to be mindful and catch it in time, you can calm your mind and body, very quickly. The way to calm your mind is to practice leaving your mind alone and if you let your mind carry on thinking the worry thoughts, whilst you relax and refuse to react to your mind, and your mind will quieten and calm down all by itself. Whatever it is that is bothering you, surrender to it, give up the fight and let it go of whatever it is that you're resisting. Once your mind is still and your body is relaxed, then you can either deal with your problem in the best way you can or just let the matter go and focus your attention on something more positive or constructive.. Worrying will prevent you from moving forwards and thinking clearly and positively and it will make your life a lot harder and more painful than it really needs to be. To allow all your dreams to come true and to live your best life possible. So you utilize your powerful creativity and you take full advantage of your inner strengths your true powers and potential. It is essential that you live in a positive state of zero negative resistance. This means maintaining a calm mind and relaxed and positive physiology. This means it is in your best interests, that you learn to let go of all your worries and concerns. Because, you gain, nothing by holding on to your inner pain and emotional stress and suffer. Whatever it is that is your resisting or whatever is upsetting you or bothering you. Let it go and surrender to what you're holding onto or what is worrying or bothering you. Just surrender to what is bothering you and release all negative resistance, and you will end all your emotional pain and misery. Because, you cannot end your worrying or all that negative mental chit chatter. If you keep fighting with your thoughts, problems and emotions. People say that you cannot stop worrying. What they are not aware of is. You can change the way you react to your worry thoughts and prevent yourself from suffering all that anxiety, stress and negative emotions. In life there are no certainties, accept that if you keep resisting your negative thoughts and feelings they will sure to persist. We all have our own personal insecurities, worries, problems and challenges to face and overcome. However, worrying will not resolve them. Worrying only paints and creates a negative future and it keeps you blind to the wonderful life and future that you could create and build. When you're in a calm and relaxed state of mind and body and your at peace with yourself and your world. Then your problems will begin to dissolve and you will find it a lot easier to handle your daily challenges. Before you can calm that negative inner voice so you can access that positive state of flow and inner peace where all your true powers, capabilities and potential lies. Because acceptance and letting it go, ends negative resistance. If you can accept whatever it is you're worrying about and then be OK with it, then you will be free to move on. When you get emotional involved with worry thoughts and negative emotions then it is going to cause you negative resistance and stress. This will affect you actions and behaviors. If you are a chronic worries. Then this suggest that you're trusting your imagination more than you are trusting the facts or what is most likely to happen. Sometimes when you just reassure your mind. That everything will be OK and you know you will accept and be OK with the worst case scenario. You will find that the emotional arousal will settle down. There are millions of people around the world, who are asking the question. Some even worry about worrying. And nearly everybody, will take to wrong route, which is to try and beat and defeat their feelings and emotions. 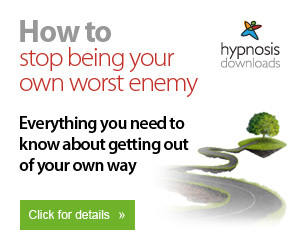 You may have already tried to numb, blockout, reists, fight and suppress your negative feelings and emotions. That approach, however never works and it never resolves your problems or calm your worried mind. People can spend days, weeks and even years. Worrying about the same old problems. You cannot stop thought, but you can quickly dismiss them and train yourself to react calmly to them. Because. All those worry and negative thoughts and feelings will keep you stuck in survival mode and when you are stuck in survival mode you cannot be yourself and maximize the true potential of your brain and your abilities. When you remain stuck in survival mode. The primary job of your brain will be to try and protect you and keep you safe, even when there are no real risks. This will prevent you from taking full advantage of your powerful brain and it will stop you from being yourself and achieving all the good things, what are truly possible for you. When your mind is focused on trying to protect you and keep you safe it will deny you from all those positive and calm feelings and emotions. All worry and negative thinking does not really keep you safe. We tend to attract and create more problems and negative situations, when we are stuck in a negative mindset and energy. Worry and negative thinking is a trap. It will keep you stuck, limited and small and it will have you going over and over the same problems, getting you nowhere and resolving nothing. People spend so much time trying to cope and deal with being anxious, worried and scared. Where they spend all their day struggling and trying to manage as best as they can. Just because you might have a problem on the outside or just because things might not be going as you would like them to. Does not mean that you have to make them a problem on the inside. Because it is how you feel that really matters the most. Feelings are real, everything else is a external experience. You may not be able to control everything on the outside. But, that does not mean you have to allow it to affect you on the inside and you have fall power of how you choose to react. All you have to do to cease your worry is to change the way you react to outside circumstances, events and situations and change the way you react your thoughts and imagination. Nobody ever solves anything, until they get out of the negative energy and the mental traps that are causing all their problems. There is a two part process to treating your worrying and resolving your problems. If you're having worry or anxious thoughts. Practice learning to relax around those thoughts. Let yourself now that they are just thoughts, and just allow them to carry on, breathe deeply and release your tension. Rather than trying to change your negative thoughts and feelings. Embrace them feel them and let them go and at the same time relax and just focus on remaining calm. Just let those thoughts and feelings to travel straight on through you and away. This takes a bit of conscious practice, but you will get better and better at it, without reacting, without judging and without trying to figure out why you're feeling and thinking this way. Once you have let it go. Then you can decide, your positive plan of action. If you have already allowed the negative momentum to go to far. Have a workout and do some deep relaxing like meditating or listening to a relaxing recording. Once you have calmed yourself on the inside. Then try and deal with or resolve your problem or challenge, in the best way that you can. Always, deal with your problems in a calm and assertive energy. Because. Things will workout much better for you or you will resolve your problem a lot quicker if you remain calm on the inside. Once you are calm. You might find that your problem, seems less significant or it might even dissolve itself. If not, do as much research as you need and keep looking and working on the solution. Now that you're feeling calmer on the inside. A shift in your attitude, actions and thinking may take you in the right direction. Life becomes so much easier and life flows so much better when you know how to manage your feelings and emotions. There is nothing more important for you than to feel good. So try not to let the outside effect or unbalanced you on the inside. Because when you change for the better on the inside the outside will change for the better for you. Change your perceptions, change your thinking and change your energy. Accept, feel the feelings, then release them and let them go. "What you focus on, expands"
There is a much better way of dealing with your worry which will prevent all that negative energy and stress. You see. You have not got to try and stop worrying neither have you got to try and suppress your negative thoughts. In fact, you have not go to really do anything. We can create a worry or fear in a matter of minutes and we can also dismiss and let go of them just as quick. The solution to end your worrying is very simple and the answer has been there all along. Leave your mind and feelings alone, allow your mind to think the worry thoughts and allow the feelings to continue. Just. Learn to relax around your negative and worry thoughts. This will quickly return your mind and body back to a state of calm and inner peace, allowing you to fall asleep easily and allow you to get a deep relaxing and restorative sleep. So you wake up feeling calm, happy and energized, with a knowing that all your stress and worries are a thing of the past. Just learn to step back from your mind and feelings and just become the conscious observer. Practice detaching yourself from that negative voice in your head. Because, that negative voice in your head is not you or who you really are nor is it telling you the truth. It is just a reflection of where you are at emotional and mentally, at the moment. The key to inner peace, emotional stability and happiness. Is all about learning how to not react to your negative thoughts and your external circumstances and situations. It is all about learning how to disconnect yourself from your negative thoughts and feelings. If you do, then your mind and body will calm and settle down all by itself. This will deny you access from all those blissful calm and happy emotions, that you're desperately seeking. When you are in a negative state of stress and imbalance on the inside then you will be a mess on the outside. Once a negative or worry thoughts has been activated, you cannot deactivate it. If you oppose it or try to resist them then that will cause even more emotional arousal. But you can learn how to stop reacting to your mind, feelings and your life. In life we sometimes just have to get out of the way a trust that everything will workout fine. When things go wrong. Fix them, but don't let them bring you down and keep you down. Our mind can often get in our way. If you have spent a lot of your life, focusing on the worst case scenario and ignoring other or better options or alternatives. Then your mind will become very good at perceiving and seeing the worst in ever given moment and situation. When you become emotional involved in something or you attach to emotional significance to something then your mind will keep on returning to your worry or fear. Some people try to change their thoughts to try and ease their worry, anxiety and stress. However, the easier and best thing to do is to change the way you feel. Exercising and deep relaxation techniques are an excellent way to change your feelings. The funny thing is. Once you are feeling relaxed, your negative thoughts will cease and you will automatically have better feeling thoughts. When we attach strong negative feelings and emotions to something. We do not handle things very well and we do not function at our peak performance best. Worrying makes it hard for you to socialize and flow at your optimum best and things are not going to workout as well as you would like them to. Try not to allow your negative thoughts and feelings to lead you to a bad feeling place that you would prefer not to go to. Because you can simply avoid all that inner conflict, stress and tension on the inside by choosing to remain calm and not reacting to that negative inner voice. Every negative thought and feeling is an opportunity to relax and let it go. Just, outright refuse to get drawn into it. Don't allow that negative inner voice to call all the shots and make all the decisions. You are the captain of your own ship and you should be in charge of all your actions, behaviors and decisions. Make it your goal and dominant intention to learn and grow from all your setbacks, mistakes, adversities and failures. Each time things go wrong, vow to come back bigger, stronger and better. Learn to relax in the face of stress, worry and uncertainty. "Whatever happens, you'll be OK or you can handle it".emotional clearing and healing. Because, it is the strong negative feelings and emotional attachment that is driving your negative and worrying thought processes and patterns. When you mix strong negative emotions with a problem, worry or negative experience or you attach your fight or flight response to them. Then you may need to detach all those strong emotions or your fight or flight response away from the bad or negative memory. If you find that you cannot let go of your worry or negative thoughts and emotions. Then the recording below are reliable and quick ways that can help you to detach all the negative feelings and emotions from your worry thoughts and your bad memories and once you successfully achieve this. All your worry, stress and anxiety will just simply melt and fade away which will transform you to a state of inner peace and calm, setting you up for more happiness and a better and more successful life. Everybody deserves good health, well-being and wellness and you can have all this and more, once you are free of worry and negative resistance. It is now common knowledge that many diseases are caused by an accumulation of stress and tension in your body and one of the biggest culprits for prolonged stress is excessive worrying. Many people worry about their health, however, there is a side effect of this, because worrying about your health will make your health even worse. If you're generally very ill, get the best medical attention you can and try to relax and reduce your stress. Many people get stuck in the worry trap and cycle and even though the things that most people worry about never really help them or they are about things that get blown totally out of proportion. For many once they fall victim to the worry trap they just cannot seem to break free from it which usually results in them having the same old repetitive negative thoughts every day. The more frustrated and bothered they become by the endless worry thoughts the more they dig in and the more intense they seem to get. Overactive thyroid, sleep deprivation, frequent colds, arthritis and even tooth decay. Worrying is not always a bad thing, and the worst thing you can do is to try and bury and suppress your worries. Because they can be a message from your subconscious mind that you may need to pay attention to something or that there is a particular problem or an area in your waking reality that you may need to work on. Sometimes there could be a genuine reason for your worrying, and a little bit of worry can help to keep us guarded so we avoid making mistakes. But worry needs to be managed, because it focuses you on the negative, it will generate physical symptoms of stress, and long periods of worry can take its toll on your health, confidence and well-being. The trick is, not to dwell on your worries, and you should only use them to plan for things to go well or to help you to grow and solve your problems. If you use your worrying correctly then it can help you to find solutions and some worriers end up being high achievers. This does not mean that you should spend all your time buried in the emotion of the problem, because you cannot find the solutions so quickly if you're stuck in a negative state. Stress is the defense physiology and state, and to solve your problems you need to be in the relaxed creative state. According to a recent study at the Kings College London, worriers were shown to have more activity in the part of the brain that deals with fear, but it is also the part of the brain for creativity. Therefore worriers are forwards thinkers and believed to be more creative, but if you want to take full advantage of your creativity, you need to calm your mind and body. If you're worried about something, then because of the health consequences you will need to reduce your stress first, then focus with a clear mind to find a solution to your problem. Worrying is all based on the what if questions and scenarios and it is a stressful response to uncertainty. Our imagination allows us to try and project and predict the future, this was designed to keep us safe. #the downside to our imagination is, we can get very good at imagining things going wrong and we can traumatize ourselves over something that has not even happened. Humans are not very good with uncertainty, they like to feel safe and secure, so it can be helpful to let you know when you face uncertainty, that you can handle it or whatever happens you'll be ok. When your imagination is depicting everything going wrong, try to stay calm and just observe and let your mind calm down by itself. Or you can try imagining the worst case scenario and seeing yourself dealing with it in a calm and controlled manner or imagine you've already come through the situation and everything went well. Worry can be used as a motivator, because if you're worried about a forthcoming event, then you can use your worry, to help you plan and better prepare yourself for the situation ahead. "Prepare to accept the worst and improve on it if need be". Ask yourself what is the worst could happen. The worst thing that could happen in life is death, if you know that you're not going to die, then see it as a challenge for you to overcome because it is not worth worrying about. "If had an hour to solve a problem and my life depended on the solution, I would spend the first 55 minutes determining the proper question to ask, for once I know the proper question, I could solve the problem in less than five minutes". Do you always tend to think of the worst case scenario first and then you carry on giving all your attention only to the worst possible outcome, are you the sort of person that never looks on the positive side of things. The universe always offers a choice of possibilities, both good and bad, it is far better to think about all of the good possibilities and then make them your future reality. The opposite state to worry is to be an optimist, when your an optimist you won't worry, sure you will have challenges to face and overcome, but as long as you see them as a challenge and you start to relish each challenge then you will have far less trouble with worry. Once you become an optimist and a creative problem solver, you will know that just by switching your thinking you will be able to achieve or overcome anything that gets in your way. If you're worried about losing your job, accept it could happen then focus on getting a better one, if you're worried about meeting a deadline at work or on a project, let you know "I have what it takes to complete the task without rushing". Tell yourself whatever it is your find a solution or a better way of dealing with it and overcoming it. Everything always turns out fine as long as you get out of the way and you allow it to happen, all you have to do is, trust and remain positive and optimistic. Practice being mindful of the type of thoughts and things that are causing you to worry, find somewhere to relax, takes some slow deep breaths, breathe in for seven then out for ten, then allow your mind to think about your worry whilst you just watch and remain calm. Worrying is negative planning for the future, the thinking about worry is, the thought of it is nearly always worse than the situation or circumstance itself. Most worries only really exist in the head, so therefore they don't exist in actual reality, so ineffectively you're afraid and you're responding negatively to your imagination. To overcome worry, you need to take a realistic look at the situation, you need a plan of action and you need to come up with the most effective ways to deal with and overcome the problem. Ask yourself what is the worst case scenario that could happen, what would you do if that worry actually happened. Would it be as bad as you imagined and what steps can you take to deal with it or avoid it from happening. Avoid too much forward planning unless it is about something that is going to benefit you or something you actually looking forward to. Remember, every new day is a different reality and a chance to re-evaluate the situation and make a fresh start, so seize the window of opportunity and start the day off with a clean slate. If you have done something wrong and it is bothering you, try and get the situation sorted as quickly as possible. Plan as much as possible and then, expect the best case scenario to happen, there are no certainties in life. But we are the creators of our own destiny to a large degree and we are meant to learn from our mistakes and not be punished by them so we grow and move forwards. If any time you feel stressed or anxious, try and bring yourself back into the present again, it is pointless to try and stop feeling anything, you cannot force your feelings away. Just accept them unconditionally and let them pass bye, again you can focus on your breathing, when we focus our attention onto something else instead of how we feel it soon starts to transform us to a more relaxed energy, but it all takes practice. Any time you have to face a stressful situation, spend a few minutes doing some deep, slow breathing beforehand, this will train your mind and body to stay calm in those challenging situations. Breathe in for the count of five, hold the breath for three seconds, then breathe out for the count of seven, if you feel stressful, return back to your slow breathing as it will put a holt to all the stressful physical responses. We worry because we get stuck in a state of nervous anticipation, this cause us to become anxious about something that has not even happened yet. What you need to know is, worrying will not change the outcome, to switch back to a calm energy you have to bring yourself back into the present moment because that's where the calm and positive energy lies. Worry thoughts will take you out of the present moment, which will cause a resistance to your free flowing energy, it's a bit like trying to block the path of flowing water or swimming against the current. When you return to the present, your energy will flow freely again, the way to get yourself out of the negative trance you have gotten into, is to let go of what you're thinking about. To engage you in the present stop thinking and start doing, just do the things you love or enjoy and keep yourself occupied. If you're stuck doing a boring job, focus on what you're doing, or create and plan for a positive and fulfilling future. Try listening to the radio, sing to yourself. If you're going to think then you might as well think about things that make you feel good, and most definitely, release anything that makes you feel bad. Any tension in your mind or body is bad for you, constant worry will put your body into a stressful and tense state. By learning to keep your body free of tension will help you to worry less. It's important to have a tension free posture and when your body is aligned, balanced and poised and your resting on your bones, then your muscles will start to relax and become soft. When your body is tense or out of alignment, then you will feel more frustrated, uncomfortable and irritable, when your mind is quiet and your body is balanced it is hard to think negative. Combined with a balanced, aligned and relaxed posture, having a massage will make you feel so much better. Performing some light stretches or gentle yoga routines first thing in the morning will help you to release any overnight tension. Go for a twenty minute walk when you finish work and just stop thinking and start observing nature and your environment to rid yourself from the day's stresses and strains.